You can practise prepositions of time (in, at. on) with your students. Complete the sentences with the appropriate preposition. The sentences were not created by me. You find the source with the solution at the bottom of the page. The above downloadable worksheet is recommended for high school students, elementary school students and adults at Elementary (A1) level. 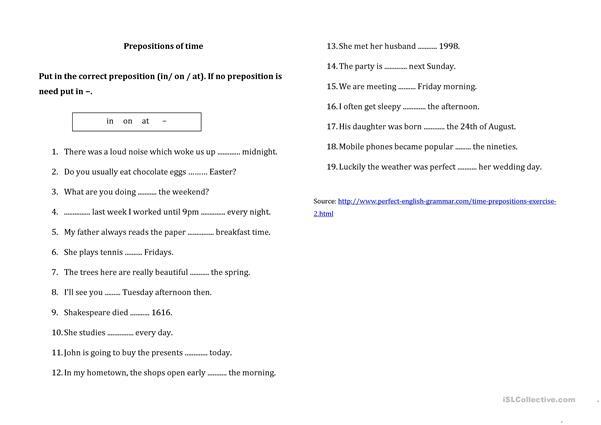 It is aimed at consolidating Prepositions of time in English.